What do you gain by joining the Byron Society? If you are interested in Lord Byron’s poetry and letters, his life and times, his relevance to today and the Romantic Movement in general, then our Society is the one for you. You do not need to be an expert Byronist or even an academic to enjoy our Society. Our members are of all backgrounds and ages, and include scholars, enthusiasts, authors and artists. The annual subscription is just £30. 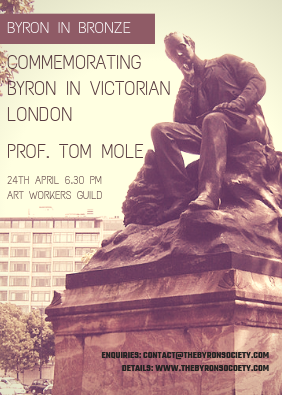 For more details, and to join us, please email contact@thebyronsociety.com.